Hi, and thanks for your interested in becoming a host with Lets Homestay! Please fill out this simple enquiry form below or click on the following link to submit a full application form. On the Police Vetting form, Page 1 is for Lets Homestay to complete. All you have to do is complete page 2 and then on page 3 enter your name, date and sign either digitally or print and sign. A separate form for every person in your home over the age of 18yrs is required. Please send the police vetting forms the same time you submit your host family application. 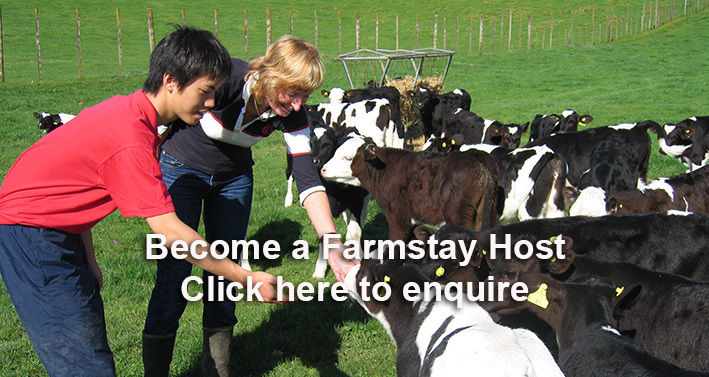 Let’s Homestay operates a variety of Homestay and Farmstay programs for Japanese visitors in Tauranga and neighbouring regions. Most of our visitors tend to be young students to middle aged adults who stay for 1~3 weeks. They can be involved with any one of the special programs we offer. Below is a brief description of the variety of people we are interested to hear from to join our hosting network. Host requirements vary but usually families with young to teenage children are preferred. In some cases where schools are involved host will be restricted to only those with children attending the relevant school. Families, couples, individuals, just about any make up of family can become a host. live, love New Zealand and wish to show our great hospitality to international visitors. block farms may qualify as long as animals are being farmed. Host should be within reasonable access to Tauranga or Waikato regions. Hosts must be available during the week and have some form of qualification teaching English as a second language. always welcomed as we get a variety of requests. school taking part in the program. Visitors are normally in their 50-60’s and are match with host of a similar age. Well suited to retired folk who have the time to spend with their guest.